So it happened. For the third time since 1973, the Birkie has been canceled in full. (In 1982, it was a lap race for international skiers, but the main race was done away with.) Not enough snow—barely; Morse, 30 miles east of Cable, is sitting on 7 inches—to provide a safe course. The weather is rather unprecedented: a heat wave swept the nation (and California is on course to break all-time rainfall records). Is this an outlier, or the new normal? Probably somewhere in between. For now, we have to hope that 2018 is more in the normal (rather than 10 degrees above normal) and we have a nice carpet of snow for the Birkie. If I were the Birkie (and I’m not) I’d highly consider moving the race a week earlier. With the growth of the race and the Kortelopet on a separate day, this would put the Birkie on a three-day weekend, so the races would be on Saturday and Sunday (in some order). There would be some cascading effects, namely the Finlandia and Book Across the Bay would probably want to move a week later. The Worldloppet schedule might be affected, too, with the Gatineau Loppet probably swapping a week later as well, but it would make sense for the Birkie to be on the three-day weekend (and data show that snow in the northeast is moving a bit later in the season, although Gatineau rarely suffers for snow). It’s something to consider. The Birkie has always been the last weekend in February, but as the climate changes, it may have to change, too. In any case, see you next winter—and winter, we hope!—in Wisconsin. The storm is churning. If it had churned 50 miles further northwest, there’d be a half foot of snow on the Birkie Trail. 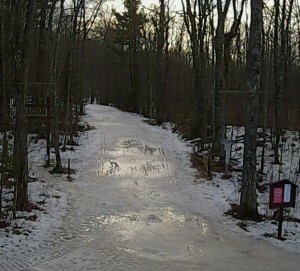 But, alas, it is skirting the Birkie Trail and dropping just a little bit of snow. It’s actually northwest of the models, and there’s a bit of lake effect, and it might be enough to go from “the trail is too unsafe to ski” to “at least we can have an open track event.” So that’s something, at least. In other words: stop waxing your skis. Or your good skis anyway. And get ready for some beer. You might need it. Bad news, Birkie skiers. The models are not trending in the right direction. The ever-optimistic NAM has followed the lead of the GFS and pushed south. 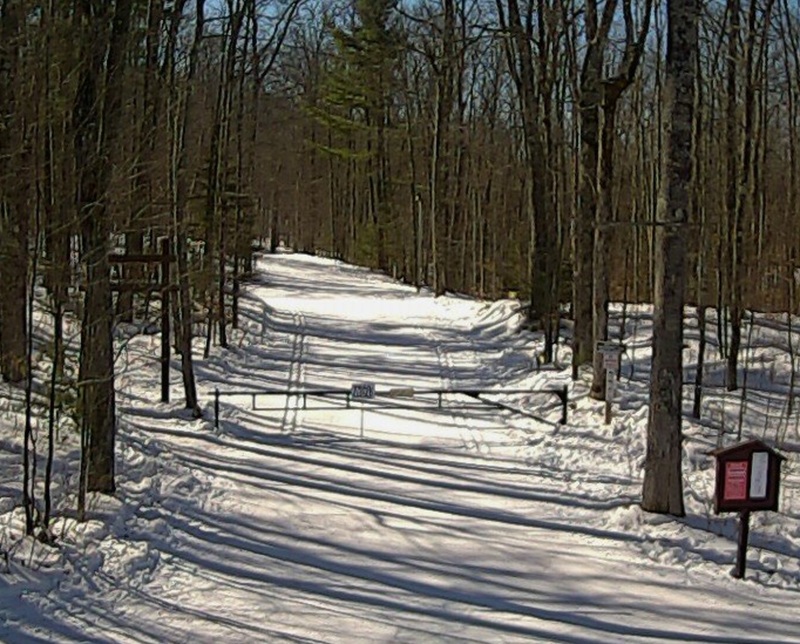 The Birkie will likely see only a few inches of snow, and may be skunked completely. An inch or so fell last night. It’s cold. But it’s not enough. The Canadian model is holding south. The ECMWF continues to show 3-6″ falling, and has been the most consistent, so that may be the hope. But anything more than that is likely out. That’s not good. But, it is what it is. We caught Ben Popp for a short podcast this afternoon to go over in some detail the final prep for the race and when some decisions will be made. If you haven’t gotten your Birkie fix in other methods, this will go in to your ear hole! The warmth is over. It’s in the mid-30s in Hayward and probably won’t be 50 again for weeks. Unfortunately, the Birkie is in a couple of days. There might be an inch or two of snow tonight, which could help matters by helping to freeze up the base, or what’s left of it, and cool the ground, even if it melts in to the ground. Tomorrow is in the low- to mid-30s and the snow may come Friday night. Unfortunately, we’ve lost all the models but the NAM as far as a big snow goes, right now something in the 3–8″ range looks most likely. So something might happen Saturday. Probably an open-track ski a la 2007. I’ve heard rumors of beer at the start. So whatever happens, it will probably be a good time. The Birkie isn’t dead! Long live the Birkie! Want to blame someone? Blame Scott Walker. Then the governor of Wisconsin got involved and proclaimed it Birkie Week, and how great it is that the Birkie brings in 26 million dollars annually to the local economy of the region (that’s nearly $1,000 per person for Sawyer and Bayfield counties!). That’s fantastic. It won’t be bringing in that much this year, of course, as many events—and perhaps the whole race—are canceled, because of warm temperatures. And there’s a pretty obvious trend of less and less snowpack in northern Wisconsin. A lot of use can probably figure out that this is due to climate change. But not the Wisconsin DNR, because they say it’s debatable, because that’s what Scott Walker thinks. Or doesn’t think. I’m sure Scott Walker would tell you that this kind of thing just happens, but the data are pretty clear. This will happen more and more. And with every snowflake that melts, it’s draining dollars out of of the local economy. I’m on an email thread with a lot of out-of-towners who spend real money to come to Wisconsin, buy food, rent houses, and drink plenty of beer. They’re not coming to look at a pile of slush. So, thanks, Scott. Not for proclaiming it Birkie week and seeing the snow melt down (correlation != causation). But for denying that climate change is a thing, and watching the economic effects hit your state right where it matters. The Birkie will be back in 2018. And in 2019. By then, maybe you won’t be and Wisconsin will be led by someone who can look at the pictures above and realize that denying climate change is bad for the Birkie. It’s bad for business. And it’s bad for Wisconsin. Let @ScottWalker and @GovWalker know if your Birkie plans change, and how much money the state is losing using #BirkieClimate. The Wisconsin State Journal has this covered, too. Model update Wednesday 4 p.m. The Euro came north a bit, but still falls in the 3-5 inch range. That’s not nothing, and might be enough to put something down on the trail (apparently, the northern portion of the trail is 90% solid, wet ice and 10% bare) but not likely enough for a race. The GFS has trended south and is spitting out about the same amount. The Canadian is similar. Only the NAM still scores a direct 8-12″ hit on the Birkie Trail, and even it has trended a bit lower on the most recent run. So something in the 3-6″ range is probably most likely. Minneapolis may do better, and Southwest Minnesota may get hit hard. Unfortunately (or maybe fortunately), the Birkie isn’t in Mankato. Denial: there’s snow! The long range models aren’t any good, right, and maybe they’re getting better? Anger: Less angry and more worried. But a little angry. Bargaining: Snowstorm? Maybe there will be a snowstorm! What could go wrong? Depression: This post. And many others. 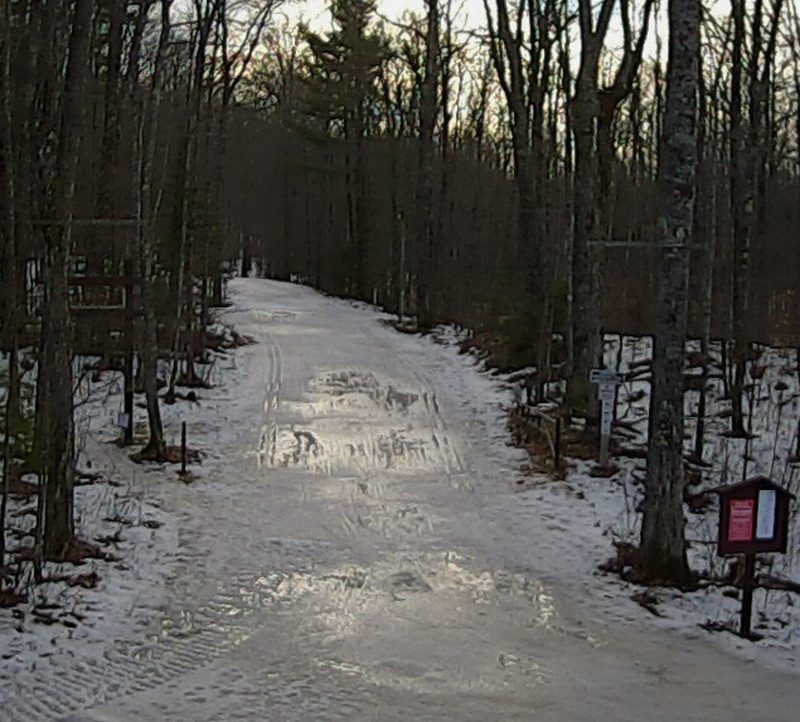 Acceptance: The Birkie will go on. Long live the Birkie. See you in 2018 (for a full race, at least). So in addition to skiing and weather, I can get a bit excitable about airfares, and how to navigate around them*. In fact, this website originally was focused on information for out-of-towners for whom getting to the Birkie is a bit more complicated than pointing the car north on I-35. And if you’re scheduled to fly to the Birkie, but you think spending $300 or $400 to go to what may or may not be a ski race or a ski in the woods or potentially nothing is not a great use of your money, you’re in luck: the impending storm which will hit Minneapolis (and maybe the Birkie, but that looks less and less likely) has created a travel waiver which should let you cancel your flight without paying any fees. Now “should” and “will” are two different things. Officially, the airlines will only let you change your flight to a different day. However, my experience (and that of another skier) are that they will let you cancel it if you ask nicely (since it’s in their interest not to have people marooned at the airport in a blizzard). The easiest way to do this, I’ve found, is through Twitter: generally a lot easier than spending time on the phone. But the phone works too. If at first you don’t get through, ask for a supervisor, and they’ll find someone who can cancel it. And if they won’t, they’ll certainly let you change your flight. This page has always suggested flying Thursday (for this very reason), but you may actually want to change your flight to Friday. Why? Because that’s the most likely to be canceled. If you can figure out if a flight generally starts in Minneapolis, flies out and then back in, as long as it’s canceled or delayed an hour, they’ll give you your money back. That’s kind of a game, and the airlines should be amenable to canceling your flight beforehand (they think MSP might get hit hard enough, and the fewer people they have to fly in and out of there, in their opinion, the better) so use this to your advantage. And if Uncle Ari over here at BirkieGuide saved you a cool few hundred dollars, remember to make a donation to the ABSF (in addition to your race fee) so they can have an even better Birkie next year. And go out and buy some skis or poles (my ticket costs a pair of Triacs, so there’s that.) Oh, and my email is ari.ofsevit@gmail.com if you want to Paypal or Venmo a bit of thanks! The overnight models did not come in as we’d like. The NAM was an outlier, bringing a foot of snow to Hayward. But the other models occluded south, bringing only a few inches of snow to the Northland. 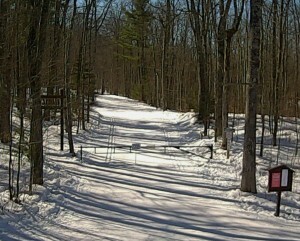 There’s not much more to say other than it’s unlikely there will be much in the way of skiing at the Birkie this year. We may have a short podcast later today to discuss this and a blog post about how, if you’re flying in, you might be able to use a travel waiver to get your flight refunded. This is not what I want to be writing about the week before the race. But, alas, it is our reality this year.